The National Kidney Foundation recently came out against a major Medicare Policy change which would make it more difficult for some transplant recipients to access the Immunosuppressant Drugs they need to prevent rejection. The National Kidney Foundation recently came out against a major Medicare Policy change which would make it more difficult for some Kidney Transplant Recipients to access the Immunosuppressant Drugs they need to prevent rejection. The matter is complicated, but ultimately the Trump Administration is proposing letting private plans in Medicare refuse to cover drugs in a set of “protected classes” if prices rise faster than inflation, saying it will pry deeper discounts from drug makers. While reducing patient out-of-pocket costs and government spending is a great idea, Chronic Kidney Disease patients would not accept the lower costs in exchange for their lives or having to put their Kidney Transplants at risk of failure and living on Dialysis. Would you agree? Recommended Reading: How Can The Personal Out-Of-Pocket Costs for Kidney Transplant Be Defrayed? In more detail, Immunosuppressive Drugs are prescribed in combinations tailored to meet the unique needs of the individual transplant recipient in order to achieve sufficient immunosuppression while minimizing the toxicity associated with individual drugs. Restricting choices of drugs limit the patients' ability to receive the right combination of medications to protect against Kidney Rejection and other serious side-effects. This delicate balance was recognized in the original decision to ensure access to these medications for Kidney Transplant Recipients. The National Kidney Foundation noted, "While we appreciate the Trump Administration's focus on reducing the cost of prescription drugs, we have significant concerns with this proposed policy. We are hopeful that CMS will hear our concerns and ensure that patients' safety is the first and foremost priority." Moreover, the Immunosuppressant Medications must be covered for longer than the current 36-month coverage by Medicare. It makes the cost of having a Kidney Transplant after the first three years exceedingly costly and for some, unaffordable. What are your personal thoughts on the new attempted policy change? 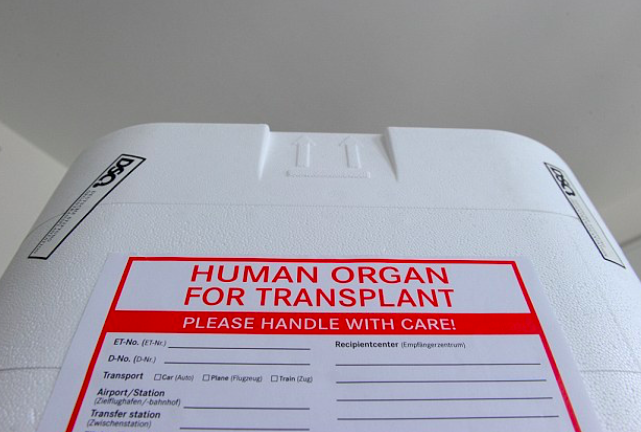 Do you desire a Kidney Transplant to avoid or get off of Dialysis? Share your experience and insights with the over 81,000 Friends who have liked KidneyBuzz.com on Facebook (click here). Also, follow the over 250,000 monthly individual viewers who visit KidneyBuzz.com regularly for the latest daily news and information which teach those with Chronic Kidney Disease, Dialysis, Kidney Transplant, Diabetes, and Hypertension how to better manage and improve their lives. Anjan Das‎ (Dialysis patient) said, "Kidney Buzz is a ray of hope in my life...."